North Sea Jazz was founded in the seventies by Paul Acket who desired to showcase jazz music in the broadest sense of the word to the Dutch. Acket realized his dream and created an international renowned jazz festival in The Hague. Since the seventies many world class jazz musicians such as Miles Davis, Art Blakey, Dizzy Gillespie and Sarah Vaughan, held legendary live performances on North Sea Jazz. In 2006 the festival exchanged The Hague for Rotterdam and grew to a thirteen staged event with about 25,000 visitors a day. Also the festival expanded their pallet to others styles than jazz. Today soul, funk, R&B, blues and fusion are prominently present on the lineup. Dianna Krall, Santana, Anthony Hamilton, Chick Corea, The Roots, Bobby Womack and Herbie Hancock are just a few names that play in the Ahoy venue this weekend. As you might have guessed it’s impossible for me to cover this event to the full extent. Therefore I’ll will give an impression of my visit (and birthday present) to North Sea Jazz Festival on Saturday the 13th of July. Rotterdam, and especially the area around the Zuidplein, is all about jazz, soul and R&B this weekend. A jazz brass band illuminates the short walk from the subway station to Ahoy and once inside another similar ensemble takes over thus creating a pleasant atmosphere. A quick peak on the festival map shows that the whole of the Ahoy inside and outside is full of podia. Largest are the Maas and Nile stages. On the latter the talk of the festival, Prince (or T.A.F.K.A.P we now once again know as P.), surprised visited North Sea Jazz a day before. Prince joined in on the show of ‘musical blood brother’ Larry Graham and left the audience stunned for a moment. Could Prince surprise us once more today? This Saturday the festival is opened by the Metropole Orchestra with… special guests, or so it said in the program. Enough reason to start here though. Jazz singer Gretchen Parlato is the first guest of the Metropole. Parlato fine voice fills the huge space of the Maas stage with an incredible warmth. The presence full orchestra seems a bit overdone, yet Jules Buckley skillfully conducts his musicians towards a delicate supporting role. Just before things got tiresome Gergory Porter enters the stage. In every respect Porter is an imposing man. His tall appearance is mighty and his voice is soothing and simultaneously powerful. After a duet refined duet with Parlato, Porters takes over and among others, intensely sings Be Good of his eponymous album from 2012 and is vivaciously accompanied by the Metropole. Sabrina Starke and Anthony Hamilton complete the list of special guests. With Hamilton’s emotional Pray for Me this performance slowly ends and the festival already lives up to its high quality programming. First up on the Nile stage is Steve Winwood who is renowned for his eighties classic Higher Love. Winwood chooses to play tracks of old. The band, consisting of Paul Booth, Jose Neto, Richard Baily and Cafe DaSilva energetically jams away. Winwood himself exchanges between the guitar and the organ leading the band to play some attractive blue-eyed soul. The concert however seems out of place in the huge Nile as many visitors lose their attention after a few tracks. Time to move on towards the E.S.T. Symphony. Once there a security officer tells us the area is too crowded, so no new spectators are allowed. Indeed this is somehow regrettable, luckily there is enough to get around. For example Song Project, that is conducted by musical centipede John Zorn. Song Project displays some great variation in which jazz, strings and darker pop-rock are combined. Zorn is in the company of Mike Patton from Faith No More whose deep voice is an intriguing asset to the Song Project experiment. Until now real jazz trio’s, quintet’s are still missing in my visit. And let’s be honest, North Sea Jazz is in fact a jazz festival and I believe if you didn’t hear any jazz today, you did something wrong. So here goes. The Madeira area is programmed with some great jazz ensembles. Willie Jones III and his quintet is one of those. 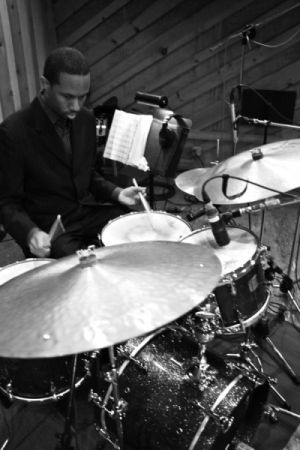 Jones, a jazz drummer who is known for is dexterous speed, is a master of many styles. Especially hard bop. During the first minutes Jones shows his exceptional control of the drums by interchanging the tempo in a blink of an eye. Next to this Eddie Henderson (trumpet), Justin Robinson (tenor saxophone) Danny Grisset (piano) and Daryl Hall (bass) complete the ensemble. Henderson, Robinson and Grisset prove to be very skillful musicians as well and almost seem to be rivals of each other. In a murderous tempo, rhythmic phrasing, weak beats and off beats are interchanged between Jones and the quintet. Also the bass play of Hall is admirably tireless. During the recent Glastonbury festival, a guy named Gary Clark jr. outperformed The Rolling Stones. Or at least some say so. On North Sea Jazz Gary Clark jr.’ performance is indeed of a high standard. In a way it reminds me of the power blues of Danko Jones only in more sophisticated ‘Stevie Ray Vaughan’ kind of way. Gary plays with passion in the half full Maas stage. He’s rough but doesn’t make me want to stay. I admit he deserves better so I’ll be sure to give him another chance some other time. Onwards to the Eliane Elias Quartet, a band that exactly plays the jazz the way Acket would like it. Eliane Elias Quartet heavily leans on Bossa Nova that comes from Antonio Carlos Jobim and João Gilberto. However, they effortlessly switch to the post bop of tenorist Charles Lloyd. Heedless as this might be, the collaboration between Lloyd and Elias are harmonious and complete. Outside, after crossing an ‘alley’ where younger and older boys enjoy some whisky and a cigar the Mississippi tent is jumping on the tones of Karsu. All about this lively funk-jazz band is young and fresh. The 22 year old pianist Karsu Dönmez leads her band in a professional and fun way and expertly combines solid jazz with some eastern ethnic influences. 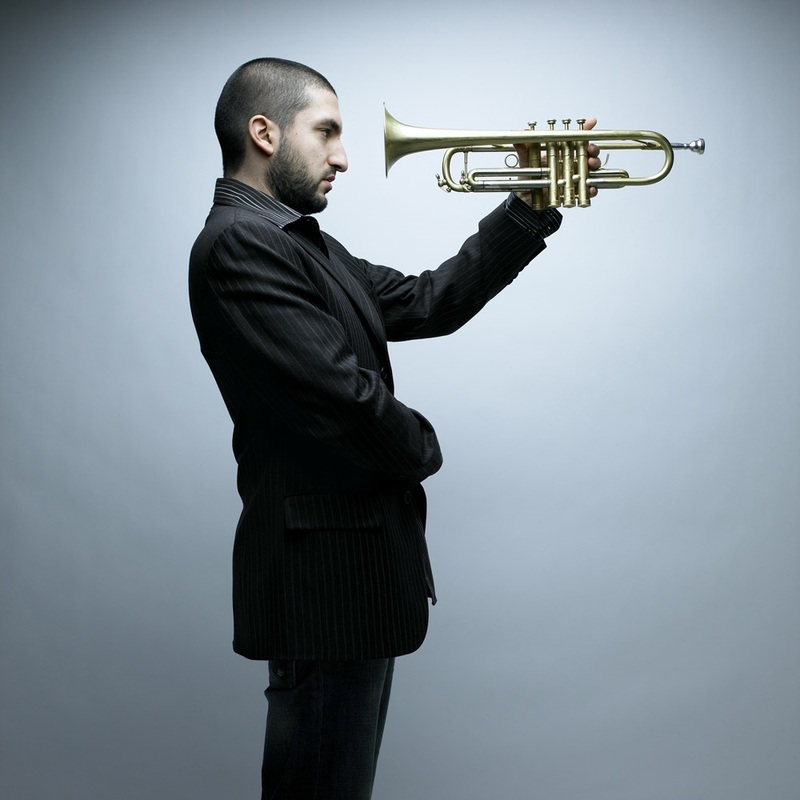 Another jazz artist with roots in the near east is the French-Lebanese Ibrahim Maalouf. Trumpeter and composer Maalouf is able to play quarter tones on a specially designed trumpet. By doing so, he creates an unique style of jazz that is infused with an Arabic atmosphere. Maalouf was hyped by a few Dutch newspapers prior to the festival, which caused the Hudson stage to fill up well in advance of the concert. On stage Maalouf doesn’t shun the talk to the audience about his heritage and his love for Miles Davis and especially Davis’ soundtrack to the movie Ascenseur pour l’échafaud (1958). First half of the concert is strongly connected to the long improvisations of Miles Davis’ Kind of Blue era. Yet, hereafter Maalouf presents himself as some kind of comedian with elaborations that become a bit obstructive but are straight from the hearth. This sincerity is pushed trough into a playful continuation of the set. Maalouf shows off his remarkable skill as a master of jazz, notably with the help Mark Turner (tenor saxophone) and Frank Turner (piano). Comprehensively spoken, his set is tender, fierce and innovative at times. An absolute highlight of the evening. It’s hard to leave Ahoy after this great performance. But all good things must come an end. But before they do, I couldn’t resist a short visit to Marcos Valle. Valle plays Samba-jazz with a whiff of waywardness. With help from Lucas Santtana, Valle tries to make the Congo tent more lively. And musically one can only say he succeeds in doing so. Dancing to these exotic vibes is almost inevitable, however the organization decided to equip three-quarter of the tent with seats. A mistake if you ask me. Two youngsters in front of me who dared to get up and dance where kindly quickly asked be some older spectators to sit down again. Well, probably with age doesn’t always come wisdom. 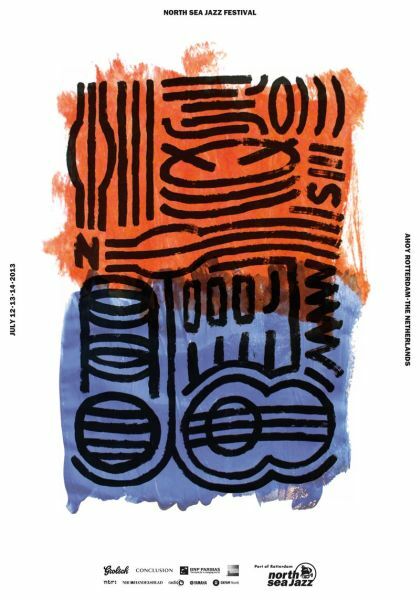 Apart from this North Sea Jazz is a great festival that annually brings together wonderful and monumental musicians in our small country in the river delta. Each performance I saw brought quality of the highest level and does make me want more. On a festival you are obliged to make choices. Usually I don’t have any problem with that. This time I don’t even want to know what I missed (The Roots, The Cookers, Chick Corea, Kat Edmonson… Prince? Nah). I’ll just settle for the phrase ‘ignorance is a bliss’. See you next year North Sea Jazz! This entry was posted in WRM and tagged Ahoy, Anthony Hamilton, Antonio Carlos Jobim, Arabic, Art Blakey, Ascenseur pour l'échafaud, Be Good, blues, Bobby Womack and Herbie Hancock, Bossa Nova, brass band, Cafe DaSilva, Charles Lloyd, Chick Corea, Danko Jones, Danny Grisset, Daryl Hall, Dianna Krall, Dizzy Gillespie, E.S.T. Symphony, eastern, Eddie Henderson, Eliane Elias Quartet, ethnic, exotic vibes, Faith No More, Festival, Frank Turner, funk, Fusion, Gary Clark jr., Gergory Porter, Glastonbury festival, Gretchen Parlato, hard bop, Higher Love, Ibrahim Maalouf, Jazz, João Gilberto, John Zorn, Jose Neto, Jules Buckley, Justin Robinson, Karsu, Karsu Dönmez, Kat Edmonson, Larry Graham, live, Marcos Valle, Mark Turner, Metropole Orchestra, Mike Patton, Miles Davis, Music, North Sea Jazz, North Sea Jazz Festival, NSJ, Paul Acket, Paul Booth, pop-rock, post bop, Pray for Me, Prince, R&B, review, Richard Baily, Rotterdam, Sabrina Starke, Samba-jazz, Santana, Sarah Vaughan, solid jazz, Song Project, soul, Steve Winwood, Stevie Ray Vaughan, T.A.F.K.A.P, The Cookers, The Hague, The Netherlands, The Rolling Stones, The Roots, Willie Jones III, Willie Jones III Quintet. Bookmark the permalink.